My quest for losing weight has not quenched my thirst for a great margarita! Ali, the voice behind Gimme Some Oven is an unofficial mixologist! She is known for her incredible margaritas. She is also just as sweet and colorful as her desserts. We decided to collaborate and it was nothing short of amazing. That girl can create a recipe that will make you beg for more! 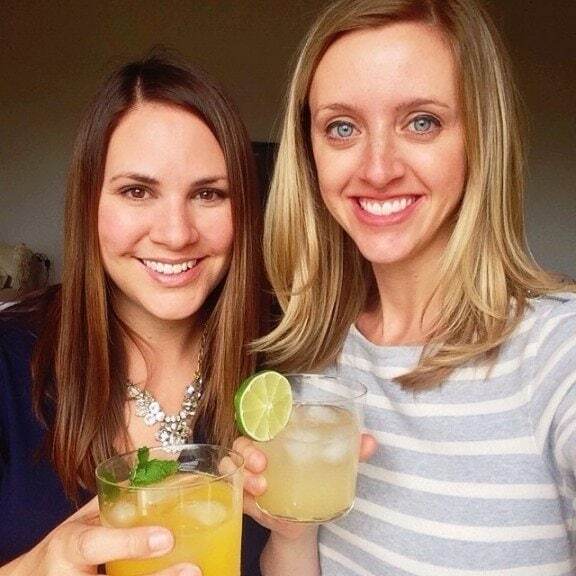 It was fun to blend our styles while blending cocktails, creating a great skinny margarita recipe. I added a video to this ever popular Skinny Margarita Recipe. It’s for a single serving but it’s just as easy to make a large batch for entertaining. Highly recommended for Cinco de Mayo! 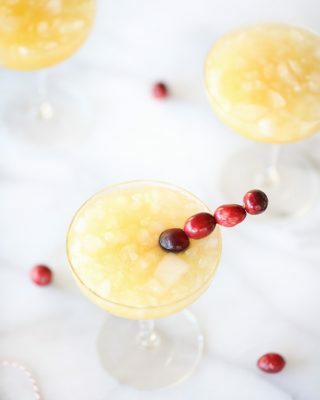 It is a fresh take on the classic cocktail, with fewer calories and 0 guilt. There are a number of ways to make one, but this recipe is all natural, all flavor! It’s made with a secret, yet simple ingredient that makes it stand above the rest. This Skinny Margarita is just 145 degrees per serving and is made with just 4 ingredients! So many are made with processed ingredients that taste sour or are overcompensating with alternative flavors. After visiting one of our favorite restaurants, Maya Cafe, the owner offered a margarita. He could tell by my “I wish” eye roll that I was counting calories. He assured me that the margarita was naturally lower in calories because it was fresh. A light bulb clicked. Why have I been suffering margarita free all these years and most of all, why didn’t I think of that? Ali and I recreated the Skinny Margarita using fresh squeezed lime juice, agave and orange juice. You’ll never use another mix again. It’s true, fresh is always better. Naturally sweetened, not bitter. It rivals a classic margarita! It’s a refreshingly sweet Skinny Margarita using only the freshest ingredients. 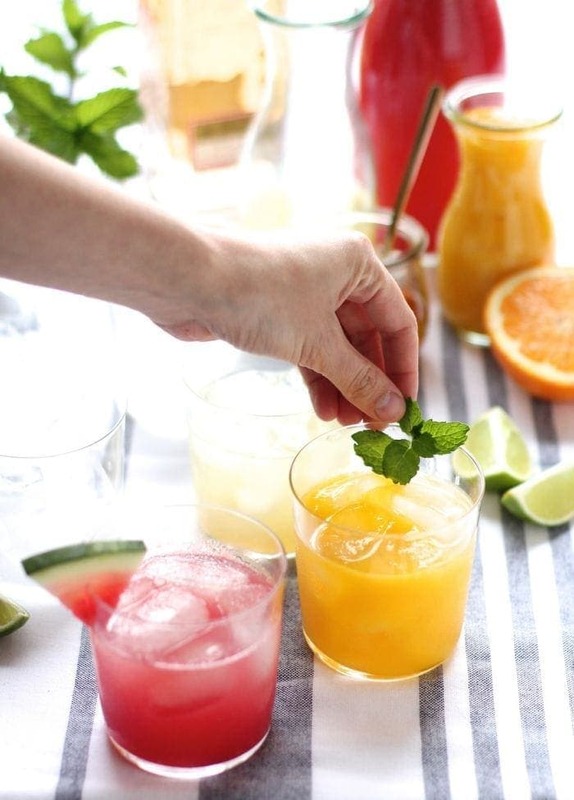 To naturally reduce calories, replace orange liqueur with fresh squeezed orange juice. It also offers a hint of fresh flavor! 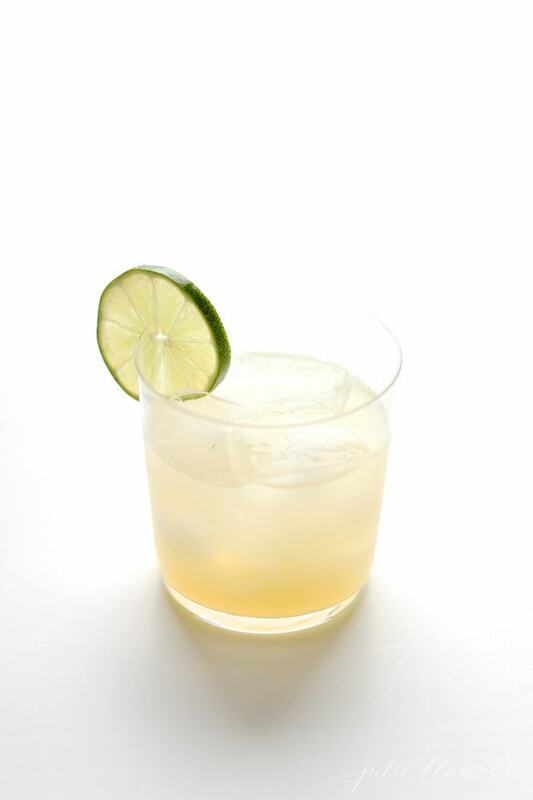 A little agave nectar naturally sweetens the skinny margaritas in lieu of traditional simple syrup. After several attempts of mastering the recipe, it was a “secret” ingredient that perfected it. WATER! Water balances a lime margarita, reducing the amount of sweetener needed! A splash of water prevents this margarita from being too sour. The other key to making an amazing Skinny Margarita is quality tequila. 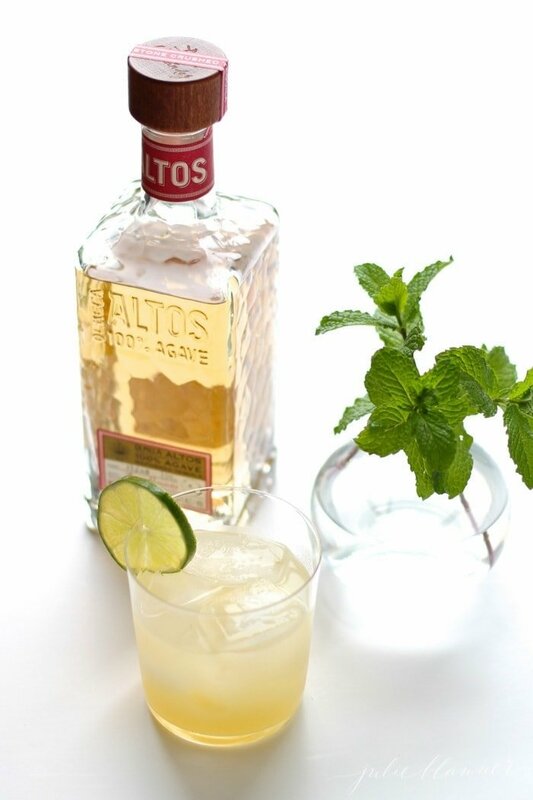 Some recommended tequilas are Altos, Patron, Casamigos, and Camarena. Use white, silver, blanco, reposado, or añejo. While a 1-ounce shot of vodka has 96 calories a shot of tequila is only 64 calories. There’s just so much to love about a fresh margarita! This Skinny Margarita has all the flavor without all the calories! 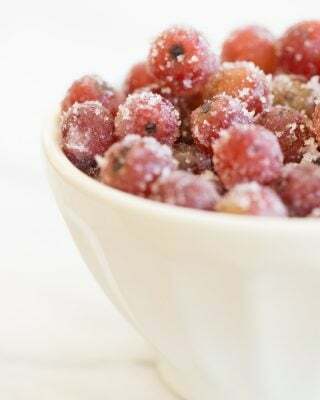 Keep reading for the printable recipe! The freshest ingredients make the best margaritas. Mix up this classic flavored Skinny Margarita with flavors of orange, mango, and watermelon. You can find all the details in the recipe card notes. 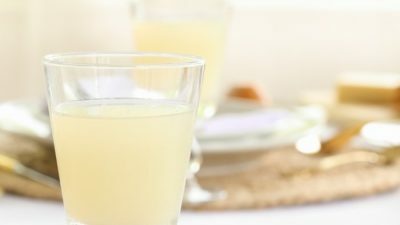 Fresh is always best, however, you can use lemon juice found in the juice aisle of your grocery store. The easiest way to juice limes is to start with citrus at room temperature. 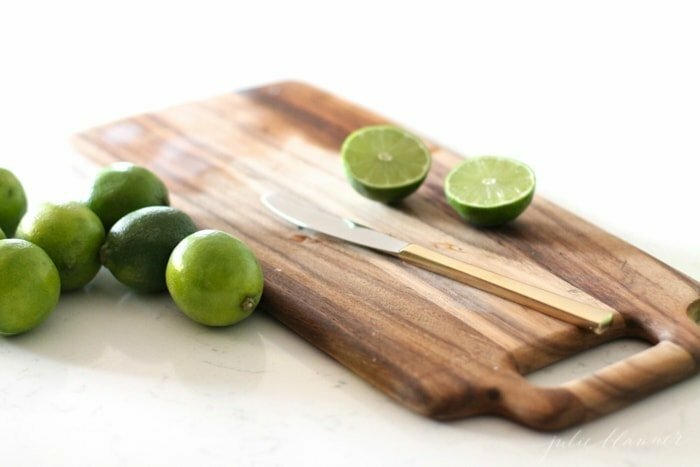 Roll the lemon or orange with the palm of your hand on a cutting board or countertop to soften it. Slice it in half lengthwise. Use a hand-held juicer or the citrus attachment on your mixer. 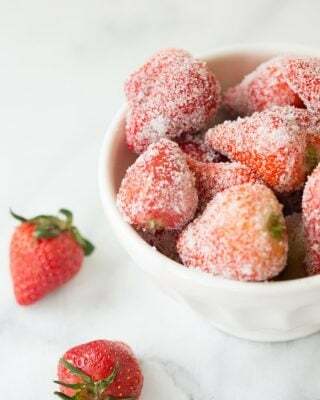 Blend ingredients in a blender along with frozen watermelon or mango cubes and ice. Margaritas are typically served in a salt rimmed glass, but you can serve up this Skinny Margarita without, as well. Eliminating salt makes this cocktail a little healthier. It reduces water retention. Either way, it’s traditionally garnished with a lime wedge or slice. You can serve up Skinny Margaritas on a margarita bar for easy entertaining. It makes it convenient for guests to create their own Skinny Margarita while you kick back to enjoy your own. Just off an array of pretty purees, tequila, lime juice and agave – wrapped up in a beautiful bar. 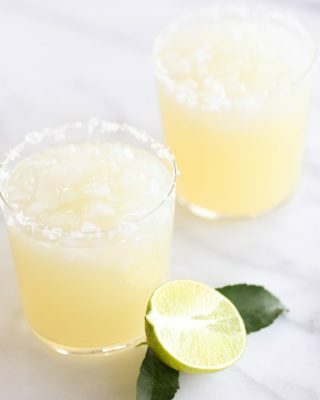 This skinny margarita recipe is simple because all natural, fresh ingredients make the most flavorful and lowest calorie margaritas. Learn how to make a skinny margarita with the step by step video in the recipe card! It’s rare when I have the opportunity to socialize during the workday with anyone other than my dog, Dusty. It’s so wonderful to have friends like Ali to collaborate with! This easy skinny margarita recipe is fresh and flavorful without all the calories! 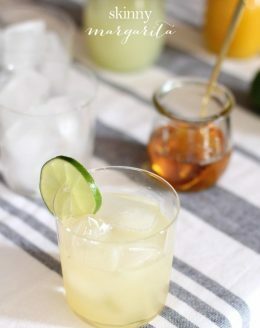 It's a skinny margarita so good and so refreshing you'll never use a margarita mix again! Rim the glass (optional): Slice the center of a lime wedge and rub the wedge around rim of your glass. Pour a layer of salt onto a small plate. Dip the glass into the salt. Tap the glass to remove excess. 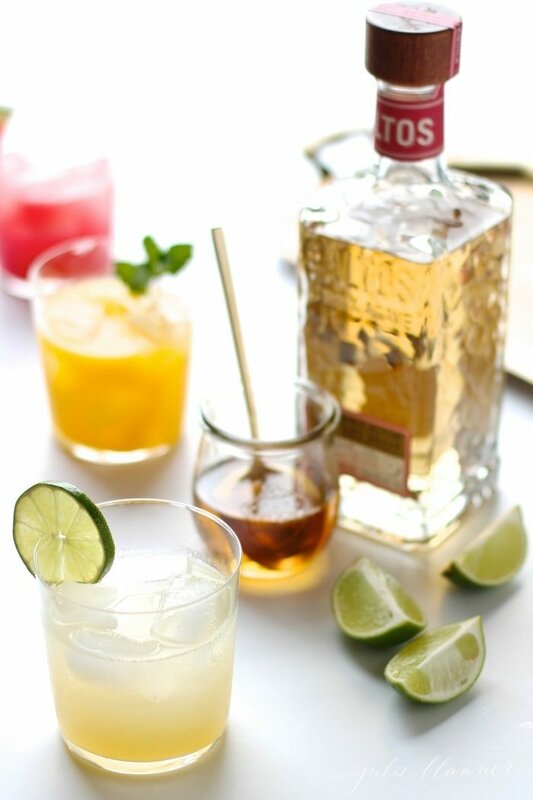 Add tequila, lime juice, orange juice, water and agave to a cocktail shaker. Shake vigorously and pour over a glass with ice. Garnish with a lime slice. Coat the rim with salt or sugar for extra flavor with every sip. 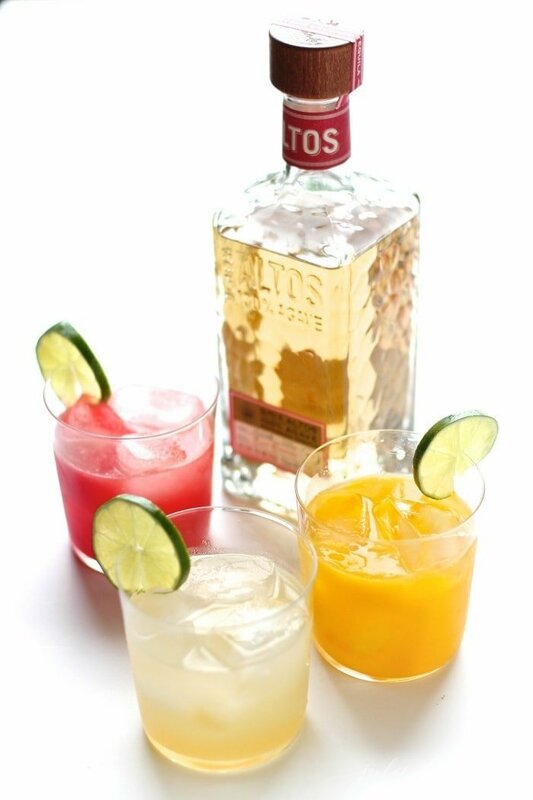 Using a fruit puree, omit the water, add tequila, lime juice, orange juice & just 1 tsp agave nectar. Shake well, strain & serve over ice. Originally published May 28, 2014, updated March 13, 1019. Love everything about this! I so enjoyed getting to spend the day with you. And these margs!! Thank you, Ali! I’ve really enjoyed getting to know you & adding margaritas to the mix makes it even more fun. Thanks for all of your inspiration & insane cocktail making abilities! Thanks for sharing! I too have been on the lookout for a skinny recipe that wasn’t terrible. I can’t wait to try these! I can’t wait to try these recipes! I’m a sucker for a good margarita and love guilt free ones even better. I usually use a zero calorie mix like Baja Bob’s and add frozen strawberries to it, but I want to try this fresh option, too! I don’t think you’ll opt for a mix again, Kari. Cheers! Excited to try all three soon! You recommend adding a quick splash of water to each recipe? Yes, to dilute the lime juice. Enjoy, Nicole! Am I missing something? When using the fruit puree, how much do you use and do you substitute the orange juice with the puree or just add the puree to the basic recipe? Have you tried it with strawberry? I eliminate the water & use 3 tablespoons puree. I LOVE it with strawberry! These are still my fave margs! I make them all the time!!! This is my new go-to friday night cocktail! I love this! Can’t wait to make these on Cinco!!! 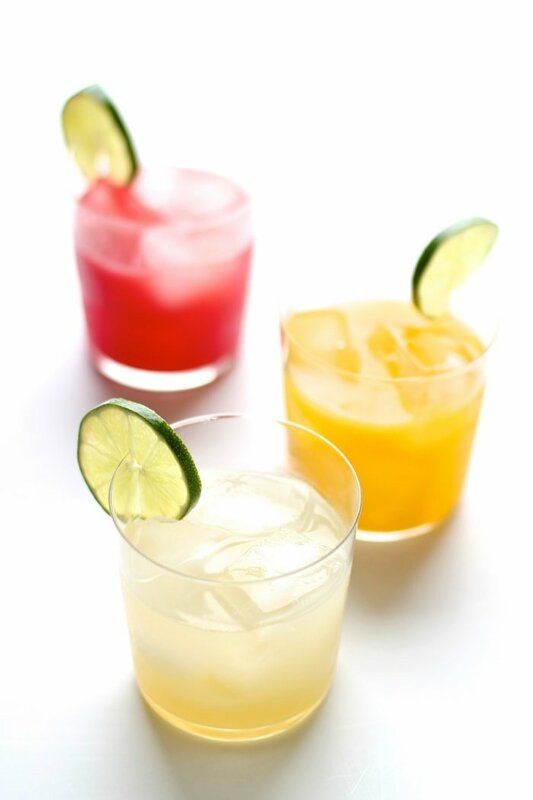 Margaritas are my favorite drink & I always avoid as the sweet & sour mix is so high in cals!! Thanks for sharing an all natural version!!! I can’t drink margs with pre-mix after trying this recipe… love! I’ve been looking for a skinny margarita recipe this good for years! I’ll definitely be making this all summer long! This sets me up perfectly for my next girls night in! We love margaritas!! Margaritas are my favorite! 🙂 Love this skinny version!! I’m *always* up for trying out a new margarita recipe, especially one that’s low-cal! Ali is so lucky to be there 🙂 But seriously, LOVE these lightened up drinks! This is my new favorite go to party beverage! i highly reccomend these! great job! Loving this skinny margarita! It’s deliciously refreshing! I bet these are a hit! I will give it a try, substituting the alcohol. Thanks! Perfect addition to Taco Tuesday! Yum! I never like using cocktail mixes! I am making this one for sure! great way to entertain at home! these look to die for!! So tasty + less calories! This is a winner!